Here's a photo from my dad's film camera, with 400 speed film. 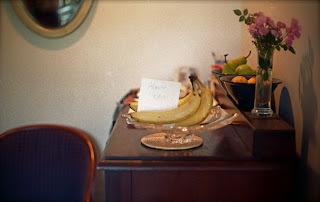 This was when mum and I went out and came home to find that Dad had left a note for us in some bananas. A nice place to leave a note. How did the rest of the photos come out? that seriously made me lol, chaddy.